The previous post showed how to upload media files into Azure Blob Storage using a custom pipeline. I started off the post by stating that the requirement was to only store large files in Azure and that was primarily the focus of what we needed to achieve but some small tweaks meant it was possible to store all media in Cloud storage. We still need to make some small updates to code to allow us to actually correctly link to the media in Azure though, so I’ll present a couple of options we have to do that. On a recent project we had the requirement to be able to link to large files which the user would be able to download, file sizes could be up to 2GB in size. Far too large to store in Sitecore Media Library, at least in database storage. We had previously used Blob storage in Azure with great success for another (non-Sitecore) site so decided to utilise this again but wanted a seamless, single interface for the user to work with, i.e. 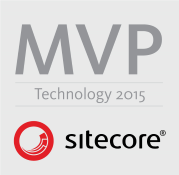 everything through Sitecore. 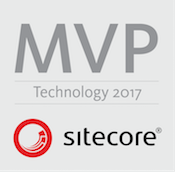 Knowing that Azure has a rich API set and pretty much everything in Sitecore can be hacked into via the pipelines we set on our merry journey.